Taking on a new team in a new town can be nerve racking. If you have the right plan in place however, it can be a smooth transition. What is it like taking on a new team, in a new town? We talk to Anthony Vizakis, head football coach at Milford High School in Massachusetts about his new reign. Listen below with Youtube or Soundcloud. 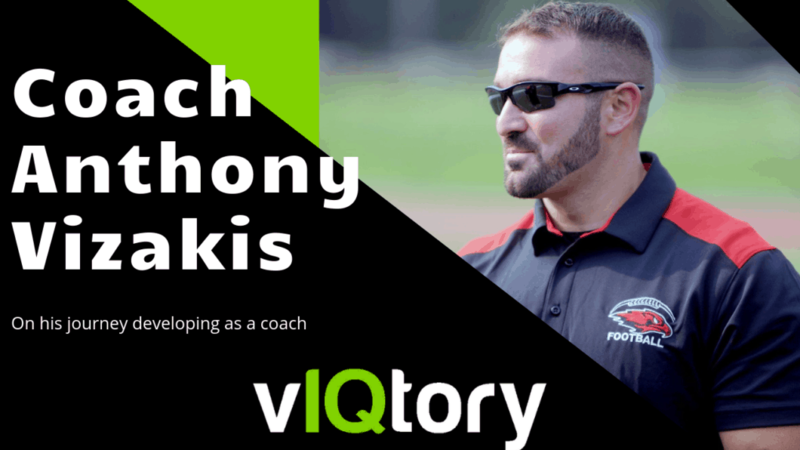 Season 1 Episode 1: Anthony Vizakis, Milford High School (MA) details his experience with taking over the varsity program and becoming a first time head coach. What have you done differently? What advice would you give to a first timer or someone taking over a program? Do you agree or disagree with some of the points that were made on the podcast? We’d love to continue the discussion! Answer below in the comment section or tweet us @vIQtorysports. Tweet directly at Chris Haddad @chrisvIQtory.